I have wanted to make the boys Easter Baskets for a while now! I've look at the cute ones at Pottery Barn and Landsend. Sometimes I think they are a little too cute for my boys!....I'm a little bit of an Easter basket snob I guess! I wanted something I could possibly pass down to my grandchildren! Seems like now days kids stuff is so disposable. You use it, than you donate it. That's fine, but every once in a while I like to keep some things of the boys that is meaningful! Something that's not automatically bought by one click but made by hand.....as Miranda Lambert would say in her new song! Then I started drawing, this saves a lot of time to have somewhat of a plan. I made copies of my 1st drawing and started playing with colors, which saves time too! Then I called up LL Green Upholstery. Meet LaNeysa, she has taught me tons! She has bad boy machines that can sew through concrete! She did the sewing and I did the cutting! We were a good team! Here I am cutting everything out.....didn't get very many pictures, we were busy! 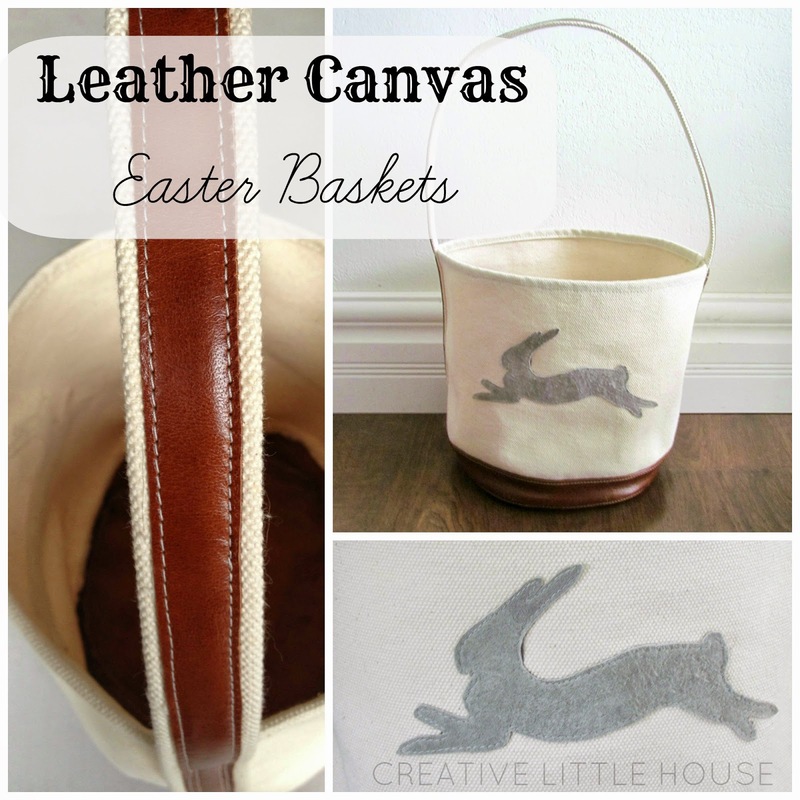 I use the ruff side of the leather for the bunny....he looked a little more fuzzy that way! Here's the final product! Lots we liked, lots we would change next time! That's the bliss of making things by hand, ya actually learn something! Love how William has his slung over his shoulder! I picked a running bunny to put on the basket, because it suits a boy running at an Easter Egg hunt! On another Easter note. I went to Walmart and got these white paintable eggs! I thought how fun to keep these every year! I can just see having 100 plus eggs in a huge basket or glass vase one day! Love making memories with the boys! It will be neat to see what how they decorate them every year. I put the year on each egg too. I hope you have a great Easter! I found some new clothes for the boys within an hour! I'm still shocked, I don't think I have ever shopped so quick! I plan to paint my toes and my nails get pretty with them too! I didn't really plan on having any Easter Traditions, but I guess we are starting one with the eggs! PS: Big Thanks to LL GREEN for helping me make this awesome baskets for my boys! !